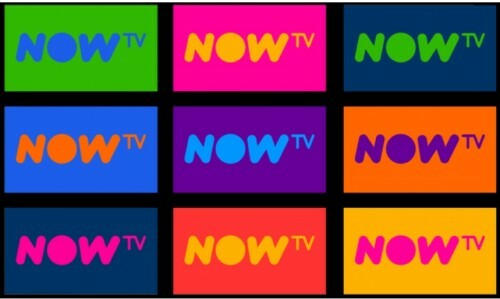 Now TV has launched what it claims is the UK’s first contract-free triple play bundle – offering TV, broadband and call bundles. The Now TV Combo is due to launch next month alongside the latest generation of the Roku-powered Now TV Smart Box – which includes a new homepage and frequently updated editorial recommendations. Announced earlier this year, the revamped, hybrid set-top box will give Now TV customers access to live linear TV channels for the first time. Sky said that viewers will be able to access up to 35 pay TV and over 60 free-to-air TV channels, alongside Now TV’s over-the top bundles and other apps and on-demand services including the BBC iPlayer, ITV Hub, All 4, Demand 5, YouTube and Spotify. Now TV Combo customers will be able to choose one from four existing Now TV pay-monthly passes – Entertainment, Sky Cinema, Sky Sports and Kids – and three broadband options will offer connection speeds of 17Mbps (‘Brilliant Broadband’), 38Mbps (‘Fab Fibre’) or 76Mpbs (‘Super Fiber’. The three call package options are: ‘pay as you use’; ‘evenings and weekends’, which gives free calls at these times to UK landlines and mobiles; and ‘anytime calls’, which offers unlimited UK calls at anytime. “With the Now TV Combo, we’re pushing the boundaries again with the UK’s first contract-free triple play bundle. Plus, our customers will get the benefits of our new Now TV Smart Box that brings together free-to-air and Pay TV shows seamlessly,” said Now TV managing director, Gidon Katz. The pricing for the Now TV Combos start at roughly £27.98, which covers an Entertainment Month Pass, 17Mbps broadband, pay-as-you-use calls and £17.99 line-rental. The most expensive Combo will cost £69.98 for a Sky Sports Month Pass, 76Mbps broadband, pay-as-you-use calls and line rental. The evening and weekends and anytime call packages cost an extra £4 and £8 respectively. Combo customers will also have to pay a £40 set-up fee for broadband, or £50 for fibre internet, but the Now TV Smart Box and Now TV Hub will both be provided with no charge for postage and packing. 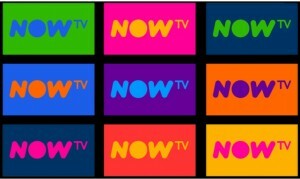 For non-combo customers, the new Now TV Smart Box will be available to buy for a standalone price of £39.99. CCS Insight analyst Paolo Pescatore described the Now TV Combo launch as a “significant move” as “the battle for the living room intensifies”. “Sky is the UK market leader and has more exclusive relationships in content than any other provider. Now TV is much more than an entry level product, it’s a great product for people who want premium content without any long term commitments. We firmly believe that the future of delivering video is via the internet and more people are on lookout for alternative ways to sign up to pay TV and multiplay bundles.